"Those whose minds are merged in Samadhi, are not deluded by the external jugglery. They are quite fearless. Siddhas (God-realized souls) are not afraid of the world. A tiger or a cobra, when they see such a person, become calm. forgetting their ferocity. Similarly, all animals becomes calm at their sight. Even the enemies forget their enmity and become friendly. As soon as they see a Sadhu, they become stone-still. What is the cause of this? It is because of their doubting nature. At the sight of a Sadhu, there is no darkness. Mind gets itsefl purified, realizing the Satwa quality. The whole atmosphere around Siddhas is permeated with Peace. Hence, even animals forget their Tamas quality and become calms. In the presence of a Sadhu, all their doubts disappear and the truth shines before them." While Baba wanted came to Ganeshpuri, it was surrounded by jungles and thickly wooded areas filled with wild animals including dangerous ones such as tigers and cobras. At the temple there was a massive old pipal tree in which many snakes lived. 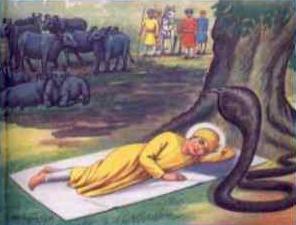 In some mysterious manner, Nityananda ordered the snakes to leave the area, which they did. All forms of life were equally dear to Gurudev. One day, resting in a jungle near Udipi, a big Cobra evidently in great pain appraised Gurudev. He took the reptile lovingly, in his hands and passed his hands over its body. Then he told the snake something and, very obediently the snake crept away into the jungle, with signs of great relief. While excavating the caves at Kanhangad, and also at Ganeshpuri, there were many instances of poisonous snakes understanding and obeying Sadguru's instructions. He would tell the snakes that they were the cause of fear among the people who lived there and that they should leave the place. The snakes would do so. Once a golden hued serpent came to him. He asked the reptile to fly away. The snake immediately flew away and disappeared. There are people who witnessed this incident at Kanhangad. On many occasions fearsome cobras would approach him and they would make peculiar sounds. "They are reciting "Datta-Datta-Mantra", Swamiji would say. Devotees gathered late one evening on the west side of the ashram. Here Nityananda sat on a small ledge bordering a six-foot drop into the darkening fields behind him. Silence prevailed. Suddenly in the distance a pair of bright eyes appeared and, weaving its way slowly through the fields, a tiger came up to the ledge and stopped. The animal then rose lightly on its haunches and rested its forepaws on Nityananda’s shoulders. Calmly the Master reached up with his right hand and stroked the tiger’s head. Satisfied, the tiger jumped back down and disappeared into the night. 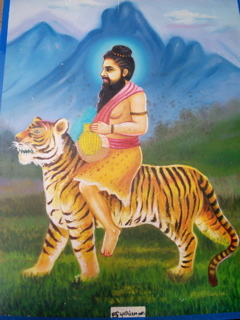 Later Nityananda observed that as the vehicles of the Goddess Vajreshwari, tigers should be expected around her temple. He also said that wild beasts behave like lambs in the presence of enlightened beings. Many stories tell of his uncanny ability to understand animals. In Udipi once he told its captors to release a certain caged bird because it constantly cursed them. Another time he reassured a frightened devotee that a nearby cobra was too busy chanting to harm anybody. Others remember a devotee who always came for darshan accompanied by his pet parrot. And in May 1944, Captain Hatengdi heard Nityananda say that a bird told him that it would rain in three days, and rain it did. Guru Nanake during his childhood days took the cattle out into the fields everyday. Guru Nanak always thought about about God. He would sit down under a tree and forget all about the cattle. One day Nanak thought about God for a very long time. He was tired. So he fell asleep under a tree. The cattle went into a cornfield. They ate up a lot of corn and all the plants were destroyed. Nanak did not know this and was still sleeping when the farmer came up. He was very angry to see his crops eaten up. He took the cattle away and told the police. The police went to tell the Guru's father. Many people went with them. The police chief was Mr. Rai Bular. He took Kalu and the farmer to the fields. All the people followed them. They reached the farmer's field. The field was as green as ever and not a plant was broken. Everybody was surprised. The farmer thought it was magic. They were all wondering when Rai Bular said, "But where's the boy?" Everybody began to look for the Guru. "O Nanak, Gods's name has magic. Those that hear, death do not fear. Their sorrows end, and sins disappear." Seven days before Baba passed away, a wonderful incident occured at Shirdi. There came a country-cart and stopped in front of the Masjid. A tiger was on the cart, fastened with iron chains, with its fierce face turned to the rear. It was suffering from some pain or agony. Its keepers - three Derveshis - were taking it from place to place and making money by exhibiting it. It was the means of their subsistence. They tried all sorts of remedies to cure it from the malady it was suffering from, but all was in vain. Then they heard of Baba's fame and came to Him with the animal. They got it down the chains in their hands and made it stand at the door. It was naturally fierce, besides, disease ridden. So it was restless. The people began to look at it with fear and amazement. The Derveshies went in, told Baba everything about the animal and with His consent, brought it before Him. As it approached the steps, it was taken aback on account of the lustre of Baba and hung its head down. When both saw each other, it got on the step and looked at Baba with affection. Immediately it moved the tuft of its tail and dashed it thrice against the ground and then fell down senseless. On seeing it dead the Derveshis were first much dejected and full of sorrow, but on mature thought they came to their senses. 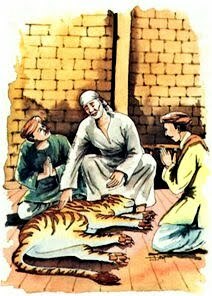 They considered that as the animal was diseased and nearing its end, it was very meritorious on its part that it should meet its death at the feet and in the presence of Baba. It was their debtor, and when the debt was paid off it was free and met its end at Sai's Feet. When any creatures bow down their heads at saints' feet and meet death, they are saved; and unless they have got a good store of merit on their account, How could they get such a happy end? St. Francis and his companions were making a trip through the Spoleto Valley in Italy when suddenly, Francis spotted a great number of birds of all varieties. There were doves, crows and all sorts of birds. Swept up in the moment, Francis left his friends in the road and ran after the birds, who patiently waited for him. He greeted them in his usual way, expecting them to scurry off into the air as he spoke. But they didn’t. Then he gave them his blessing, making the sign of the cross over them. At that they flew off and Francis, rejoicing and giving thanks to God, went on his way. Later, Francis wondered aloud to his companions why he had never thought to talk with the birds before. And from that day on, Francis made it his habit to solicitously invoke all birds, all animals and reptiles to praise and love their Creator. And many times during Francis’ life, there were remarkable events of Francis speaking to the animals. There was even a time when St. Francis quieted a flock of noisy birds that were interrupting a religious ceremony! Much to the wonder of all present, the birds remained quiet until the ceremony was complete. St. Francis and Rabbits: One day a brother brought a rabbit who had been caught in a trap to St. Francis. Francis advised the rabbit to be more alert in the future, then released the rabbit from the trap and set it on the ground to go its way. But the rabbit hopped back up onto Francis’ lap, desiring to be close to him. Francis took the rabbit a few steps into the woods and set it down. But it followed Francis back to his seat and hopped on his lap again! Finally Francis asked one of his fellow friars to take the rabbit far into the woods and let it go. That worked. This type of thing happened repeatedly to Francis and he spoke to animals wherever he went. St. Francis and Fish: Fish were also known to listen to Francis. Whenever a fish was caught and Francis was nearby, he would return the fish to the water, warning it to be careful and not to be caught again. On several occasions the fish would linger awhile near the boat, listening to Francis talk, until he gave them permission to leave. Then they would swim off. In every work of art, as St. Francis called all creation, he would praise the Creator. Jalal-ad-Din Rumi was the greatest mystic of Islam - and perhaps of the world. He was born in 1207 and died in 1272. 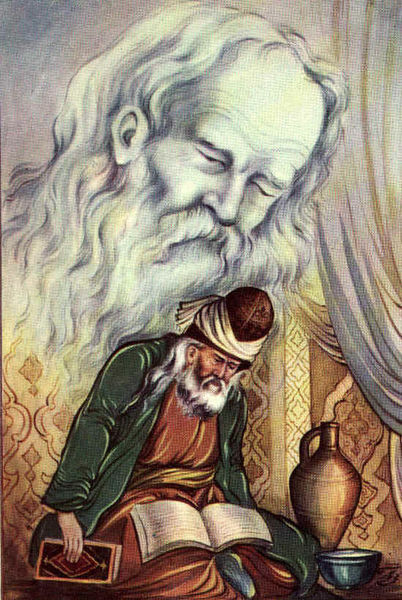 Rumi left behind a vast collection of mystical poetry and is today the most widely red poet in the western world as he has long been in the East. Much like Francis of Assisi, Rumi adored The Creation. Trees and animals would bow with reverence when he passed by. Rumi loved to help all beings at whatever stage and in whatever difficulties they found themselves. He loved to see people and animals happy and at peace with their lives and with God. But to fall in love…. This was written in creation. Can only be grown in the heart. Sri Ramana Maharshi’s presence invoked a remarkable and transformational impression of benevolence and dignity, kindness and simplicity. which proved to be fundamental to the movement toward spiritual enlightenment in the Western world. Ramana saw God in everything. He had the utmost respect for animals, and there are many wonderful stories of his interactions with them, some of which I have recounted below. 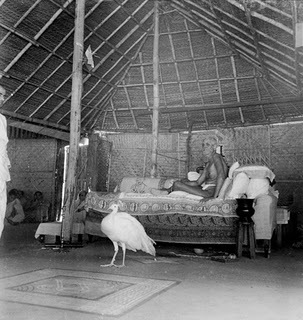 Sri Ramana Maharshi and the Ashram Animals. Many animals found their way to the ashram including dogs, cats, cows, peacocks, squirrels, birds and monkeys. Squirrels would hop through the window of Ramana’s room. He always kept treats for them by his side. The animals felt his Grace and he loved them in return. Despite protests from his followers, Ramana would not have the snakes who inhabited the ashram grounds killed. He felt that the human beings had invaded their home and that they should be respected. He treated the snakes with the greatest reverence and respect and no one was ever harmed by one. Many animals would gather in the evenings when Bhagavan sat in the hall to talk and pray with his devotees. On occasions when Bhagavan would be delayed, the animals would come to the hall and peer anxiously in the direction of his empty couch. 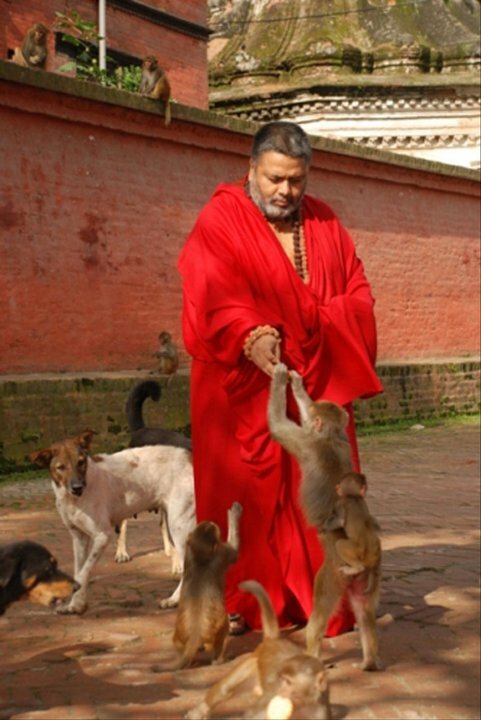 Bhagavan was very intimate with the animals especially the local monkeys who considered him one of their own. Once Bhagavan had been walking with a group of people. They had gone much farther than they expected that day and had become very hungry. Out of nowhere appeared a band of monkeys who swarmed to the top of a high fig tree shaking its branches so that all of the fruit dropped to the ground for Bhagavan and his followers. The monkey left as quickly as they had appeared taking no fruit for themselves. Lakshmi: The most favored of all the animal devotees was a cow named Lakshmi. She was brought along with her mother as a gift to Bhagavan. He felt he could not properly care for the cows and so they were taken to farm in a neighboring village. After Lakshmi had been with the farmer for a year or more he went one evening to Ramanas ashram for prayers bringing Lakshmi and her mother with him for a visit. Lakshmi was irresistibly attracted to Ramana and must have noted carefully the way to the ashram. The next day she appeared on her own and from then on came every day returning, by herself the farm in the evening. At some point along the way she became a permanent member of the ashram. During her life at the ashram, Lakshme bore several calves at least three of them on Bhagavan’s birthday.. She was extremely devoted to Bhagavan and he showed her the utmost Grace and kindness. On June 17, 1948 Lakshmi became very ill and it was clear that her time had come to an end. Bhagavan went to her and said: “Amma (Mother), do you want me near you?” He sat down beside her and cradled her head in his lap putting one hand on her head and one over her heart just as he had done when his own human mother lay dying. He gazed into her eyes for a long time and lay his cheek against hers stroking her gently. She focused all of her attention on Bhagavan and was conscious up to the end, her eyes bright and clear. On June 18th at 11:30 am she left her body peacefully. She was buried in the Ashram compound and given full funeral rights. Her grave was beside that of a deer, crow and dog which Bhagavan had also buried there. A stone was placed over her grave with her likeness carved into it. On the stone was also engraved the epitaph he had written for her stating that she had attained (Mukti) final liberation. The word mukti is used in two different ways. Generally when it is said that someone has attained mukti it means that they have died. The more spiritual term Mukti means that the soul (usually a very advanced soul) has attained final liberation from this realm of existence. When Bhagavan was questioned as to which definition he was referring to when speaking of Lakshmi, did he mean that she had died or that she had attained liberation, he said Mukti - final liberation! To support the quote from Baba Nityanand on the first part of this article, this story is put up here to show that even the deadliest of beings can be transformed in an enlightened master's presence. Angulimala was a fiercely dreaded ruthless dacoit in Shravasti. His name came from the words anguli (finger) and mala (necklace) because he is said to chop away the fingers of his victims and wear them in a necklace around his neck. Villagers petitioned the king of Kosala, who vowed to hunt down Angulimala. Fearing for her son's life, Angulimala's mother set out to find him and warn him of the king's intent. The Buddha perceived with his "divine eye" (faculty of clairvoyance) that Angulimala had slain 999 victims, and was desperately seeking a thousandth. If the Buddha encountered Angulimala that day, he would become a monk and subsequently attain Nirvana. If Angulimala encountered his mother instead, he would slay her as his thousandth victim and fall into hell for millennia as a matricide. The Buddha set off to intercept Angulimala, despite being warned by the people of the village in which he was staying. On the road through the forest of Kosala, Angulimala first saw his mother who came to warn him of the impending arrival of the kings' army. Angulimala, after some deliberation, decided to make her his 1000th victim. But then when Buddha also arrived, he chose to kill him instead. He drew his sword, and started running towards the Buddha. But although Angulimala was running as fast as he could, he couldn't catch up with the Buddha who was walking calmly. "The Blessed One willed a feat of psychic power such that Angulimala, though running with all his might, could not catch up with the Blessed One walking at normal pace" (MN 86, translation from Thanissaro Bhikku). This bewildered Angulimala so much that he called to the Buddha to stop. The Buddha said that he himself had already stopped, and that it was Angulimala who should stop. 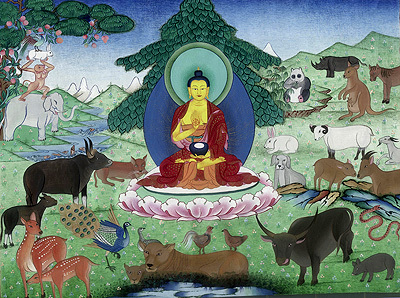 Angulimala asked for further explanation, after which the Buddha said that he had stopped harming living beings, and that Angulimala was still harming and hurting living beings. After hearing this, Angulimala changed his ways, vowed to cease his life as a brigand and joined the Buddhist order. The Buddha, greatest example of compassion towards all living and nonliving beings. 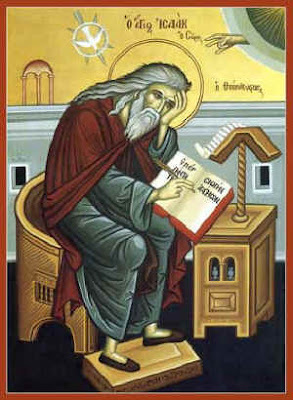 Abba Helenus back in the days of the Egyptian Desert Fathers. The saint, like most early monks a layman rather than a priest, found one Sunday that the priest who was expected to celebrate the Eucharist for his community was unable to do so because he was on the other side of the Nile and had no transportation; moreover he was fearful of the stream's many crocodiles. Set a little later, in Brittany of about the sixth and seventh centuries, is the story of Malo, the rugged pioneer evangelist of that portion of France. It begins when the saint came upon a despondent swineherd. The lad had thrown a stone at an unruly sow to try to stop her from devastating a farmer's wheat field, but had accidentally killed her. Not only that, but the sow's piglets were by now desperately trying to nurse from their mother, not realizing what had happened. Understandably, the boy was in dread of his employer's wrath, having nothing with which to repay the loss. 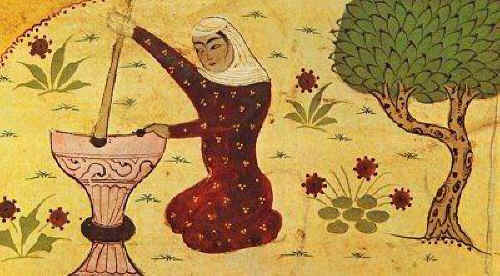 The compassionate saint, for whom to see and feel was to act, touched the sow's ear with his staff, and immediately she came back to life, quite recovered. The lord, delighted in hearing what had happened, spread the holy man's fame and even gave him a farm. Seraphim of Sarov (1759-1833) During his years of forest-dwelling, Seraphim acquired a particular rapport with animals. He was seen gamboling with a great bear as with a friendly dog, and when he went up to the monastery to take his rations, his animal friends, foxes, hares, and wolves as well as bears, would wait for his return, knowing he would share whatever he had with them. One day a nun, Matrona, of a nearby convent that Seraphim befriended, saw him sitting on a log with a bear. Terrified, the woman let out a scream, and the monk gently dismissed the animal and invited the sister to sit beside him. But, she reported later, the beast returned and lay at the holy man's feet. She was again alarmed, but "saw Father Seraphim, quite unconcerned, treating the bear like a lamb, stroking him and giving him some bread." The nun calmed down, then "looked at the father and was dazzled by the sight of his face which seemed to me full of light and like an angel's. When I was wholly reassured the Staretz gave me a piece of bread and said: 'You needn't be the least afraid of him, he won't hurt you.' So I held out the bread to the bear and, while he was eating it, it was such joy to be feeding him that I wanted to go on doing so." Seraphim characteristically told Matrona not to tell anyone about the incident until eleven years after his death. Unknown information on the pic above. Goraknath is one of the 18 yoga siddhas in the 'nath' tradition. He was initiated by Dattatreya (Vishnu), Macchamuni, Allama Prabu. Some of his contributions include "Avadhuta Gita" and 13 other works, order of ascetics, medicine, alchemy, Hatha yoga pradipika classic etc. He has attained samadhi at Poyur (Girnar). You can find his cave in Sathuragiri hills. Jesus loved animals and they loved his company. Christ was against animal abuse he even tried to free doves from cages in the market. Sri Chaitanya, chanting and dancing with wild animals in Jarakhanda forest. Baba Sailani Shah mianwandered the forests and tamed many wild animals such as tigers, lions and other cats. His shrine is located in Buldhana district of Maharashtra, near Aurangabad. The rich dresses worn by most saints are probably an artist's imaginative depiction of the 'rutba' or spiritual stage the saint had attained. 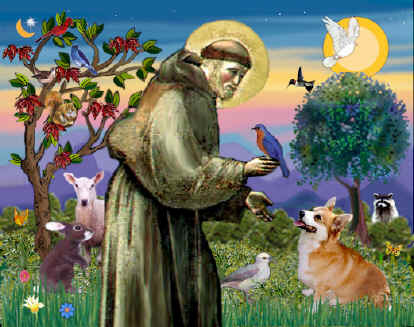 St. Francis had the ability to communicate with animals and felt at one with all creation. “I learned from animals, birds, and insects” said Dattatreya. “I have found in all twenty-four teachers since my childhood, and still I am searching for more.” Lord Dattatreya observed nature carefully, the elements, the sun and the moon, birds and animals, men and women and gained an insight into the nature of the world. Siddha Pulippani used to ride a Tiger up the hill to take him ice cold water. He would mesmerise the tiger and using mantra ice the water. Rabi'a the saint led a life of voluntary poverty and simplicity. She turned down many rich gifts as well as many offers of marriage. Instead of wealth or noble family, her trademark was charity, and she was known for her many acts of kindness to humans and animals alike. Maria Jaoudi's Christian and Islamic Spirituality, p. 85, tells us that like Seraphim, she spent an initiatory season of inner preparation for her calling alone in the wilderness. There the animals gathered around her: deer, gazelles, mountain goats and wild donkeys. In her presence, they were trusting and fearless. One commentator wrote, "This saint was credited with complete abstinence from animal products so that animals no longer fled from her." Ramana Maharshi also had a wonderful relationship with animals. Many wild animals such as Tigers and snakes roamed the mountain side but the Maharishi never showed any signs of fear and often befriended animals who came in contact with him. A disciple recorded that on one instance a black cobra entered a hut where the Maharshi was staying, the snake stopped and stared into the eyes of Ramana, after a while the snake retreated. A realized soul maintains a close oneness with all of God’s creation and this compassion can sensed by the animals themselves. On the same note, since this topic is regarding the communication of humans and animal kingdom, i'm pulling up an old note here, that i had initially published on facebook for the interest of the readers. The note was named as "Dying at a Siddha's feet"
"Yesterday my sister had called to report that a weak bird flew into her house and was sitting in front of Babaji's photo staring at it. She was scared but I asked her to let it be where it is and not do anything to it. It sat there seemingly weak, staring at Babaji's photo. Today morning she called that it died there. I have noticed insects coming into my room and dashing against Babaji's photo or swirling around him. I was surprised to see one insect (the ones that die within minutes after they come out of the ground during rainy season) coming suddenly into my room. I knew that these insects die soon so I allowed it to be in the room assuming that it had come for some reason. Soon I saw it go directly and swirl and hit at Babaji's photo before it disappeared somewhere.. It's beyond our perception but it is such a fortune for these life forms that they try to come in a Siddha's presence and even more fortunate to leave their life at their feet.﻿"
Namashivaye! I had a pigeon which suddenly appeared at my place of work a few months ago. I could see that it was not in the best of health. I felt helpless and didn't know what to do. Finally decided to send it healing. It was struggling to fly and i was praying hard, not being able to see it suffer. Then it was upside down with its beak pointing upwards. I poured a few drops of water into its mouth and within the minute it passed away. This really left me effected as obviously it was the first time i experience something like that.Somehow i felt that it needed Babaji's healing energy before its transit, and i thanked Babaji and all the Divine Powers of the universe. A great timely thing you did Shivanita. Thanks for sharing. Namah Shivaya..